PayPal is an easy and safe way of transferring money internationally. Let’s learn how PayPal works and how to use this system for sending or receiving money. Getting payment for your services from abroad used to a bit tricky affair about a decade ago. But PayPal has made our lives much easier. There are other similar services -but PayPal is, beyond doubt, the most popular among the pack. Internet provides a number of avenues through which you can make money online. Blogging and other internet related services are global in nature. All you need is a laptop and an internet connection; and you can work from anywhere. Your clients don’t need to meet you as all the communication can take place through email, phone and Skype etc. In such a scenario, your clientele can very well be internationally located. My clients, for example, are located in USA, South Africa, Spain, India and other countries. PayPal is easy and safe. PayPal is a service that allows national and international money transactions through internet. The whole system of PayPal is based on email ID. So, technically, one email ID pays money to another email ID. It is as simple as that. Now let’s go into details. Here I am going to describe functioning of PayPal in a concise way to give you an overall idea of this excellent service. To be able to use PayPal, you need to have a valid email ID and a credit card or bank account (for ease of writing, I am going to say just “bank account” from now on). You would register with PayPal using your email address as your user ID. You’ll be identified with your email address. At the time of registration, you will need IFSC and branch code of your bank’s branch. You can find IFSC codes and other branch related information here. After registration is done, you’ll need enter your bank or credit card details in your profile. To verify that you have entered the correct bank account details, PayPal will transfer one or two very small amounts of money into your account. Once you receive these amounts in your bank account -you would need to go back to your PayPal profile and enter the amounts you’ve received. For example, if you’ve received $0.1 and $0.25 from PayPal -you would need to enter these numbers. If you enter correct values, your bank/credit car account would be considered verified. Your PayPal account is now ready and you can send/receive monies through it. When you need to receive payment from someone -just tell that person your email ID which is registered with PayPal. It does not matter where the payer is located. All you need to tell her is your registered email ID. When your payer has transferred money to your PayPal account -you will get an email informing that you have received this much amount from so-and-so person. Now, either you can keep your money in your PayPal account or you can transfer it in your bank/credit card account. However, some countries, like India, do not allow you to keep money in your PayPal account. So, money will automatically be transferred to your bank/credit account soon after the payer makes payment. Before transferring money to your bank/credit car account, PayPal will cut its commission (transaction fee). At present PayPal takes 3.4% of total transaction money. So, for each dollar, you’ll get only 96.6 cents in your bank account. You can use your PayPal account to send money as well. You can transfer money to anyone who has a verified PayPal account. Just ask for the PayPal email ID of the person whom you want to pay. Then go to your PayPal account and send the required amount to that email ID. PayPal will withdraw that amount from your bank account (or charge it to your credit card). Then PayPal will cut its fee and transfer rest of the money to the payee. Payer and payee should negotiate in advance as to who will pay the transaction fee of PayPal. If payee is supposed to pay this fee then for a payment of $100 you can send $100 (and the payee will get $96.6). But if you’re supposed to pay the fee then you should transfer the payment amount + PayPal fee. No, PayPal is not a bank. It is a service that acts as a middleman in transactions of money among banks. Yes. Some people say that it is even more safe and secure than online credit card transactions. PayPal uses HTTPS throughout their website. Is PayPal a free service? Yes and no; it depends which side you’re on. PayPal charges a transaction fee -either payer or payee has to bear this cost. The other party does not need to pay anything. How does PayPal earns profit? Well, although PayPal also earns by charging a transaction fee but I guess their major income source is the interest on funds they hold. As I mentioned earlier, you can keep money in your PayPal account. PayPal earns interest on this money. What are the benefit of using PayPal for business? You can very well setup your business and use PayPal for online sale-purchase. This method of monetary transaction is hassle-free if compared with online credit card transactions. For accepting payment through credit card, you would need to setup a payment gateway, acquire and renew SSL certificate etc. But for PayPal, all you need is an email ID. Can money be transferred for personal reasons? Yes, you can do personal transactions also. Let’s say you’ve borrowed money from a friend and now you’re in a different country -you can use PayPal to return money to your friend. Can I donate through PayPal? Yes, a large number of charities accept donations via PayPal. They often display “Donate via PayPal” logo on their websites. Can I close my PayPal account? Yes, you can close your account anytime you want. Can I open more than one PayPal account? Yes, you can have multiple PayPal accounts. Are there any restrictions on doing transactions? As different countries have different laws and policies, PayPal imposes certain restrictions on its standard way of operation. For example, as I mentioned above, India’s policy does not allow you to keep money in your PayPal account. The money has to be immediately transferred to Indian owner’s bank account. You should check PayPal website for more details on restrictions. How much time does it take for transfer? Transfer is instant from one PayPal account to another. How much time does it take for money to get transferred in my bank account? Transfer of money from PayPal to your bank account typically takes 5-7 working days depending on processing speed of the bank involved. Does money come via email? No! many new users get an impression that the money comes “attached” with an email. This is absolutely incorrect and not possible. Email IDs are used as identities in PayPal accounts. That is why it is sometimes said that money is going from one email ID to another email ID. Who pays the transaction fee? It is important that the transacting parties decide beforehand about who will pay the transaction fee. If the sender has to pay -then the sent amount should include the PayPal fee. Disclaimer: Please note that I have written this article as a general guide for new users to make them aware of how PayPal works. I advise and recommend that PayPal’s website is used for the latest information. Friends, this is how you can make use of PayPal in sending and receiving money for your products/services. For bloggers, content writers etc. PayPal is very convenient. Do let me know if you have any questions. Also point to any error in this articles because over a period of time policies keep on changing. I would be thankful. Last updated: 23 September 2017 | Published on: 26 March 2014 | Authored and Edited by: Lalit Kumar and Team | Filed as: Home » Tips for Success in Blogging » How to Use PayPal? How does PayPal Work? I want to send money from India to a person in Sri Lanka. Can I do so using Paypal and is there Paypal withdrawal facility in Sri Lanka. As long as you have a bank account, you can use PayPal. What is the different between PayPal and e-wallet? PayPal is essentially a money/payment transfer service. Any e-wallet service is like your electronic wallet. You can spend from e-wallet only if you put some money in it. Information provided by you is is very transparent. Easy to know working process of PayPal. Thanks. hi, it is said that in India money is not allowed to be kept in pay-pal account. So, does PayPal take commission even for bank transfer. Yes, PayPal takes its commission before transferring money to bank account. If i want to create multiple PayPal accounts, should I need different PAN cards or can I create multiple accounts with single PAN card? Has anyone used Auction Essistance for PayPal services? Yes, you must attach a bank or card account in order to receive money through PayPal. Thanks for sharing this valued information. It is one of the secure transaction service I find. I do a small consulting business in Bangalore, India. I have customers from different countries. Shall i use pay pal for my customer to pay consulting fee to me. Do i need have personal account or business account? Yes, you can receive your consulting fee through PayPal. You can use either personal or business account. Dear Keerthy, I am sorry, I don’t know about such a service. If you come across a suitable online service, please let us know too! It would be good to know about it. I want to sell my web designs (themes, templates etc.) online outside India. For this i have designed a website. I want to get payment in my personal account. Kindly suggest which one is best for me Paypal or Amazon Payments? So far, I have not tried Amazon Payments. But I don’t think you’ll have any problem in receiving payment through PayPal. I have started some online jobs. But something is not clear to me. I don’t know why I am not getting from amount from Paypal. Please help me. Below is a mail that I have get. PayInstantOrder Services sent you money! Get your money in just a few easy steps. Click the button below to get started. Claim your $5.00 by Mar 4, 2016 or it will be returned to the sender. Please do not reply to this email. To get in touch, go to the PayPal website and click Help. Please help me whatis the problem. I verified my Paypal A/c. How much time does it take for money to get transferred in my bank account? I will wait for you reply. I would suggest that you don’t click any link in this email. It doesn’t appear to be genuine. Or let’s say, it appears to be a scam / fraud email. You should report this matter to PayPal customer support. I have successfully created PayPal business account however when I try to charge my customers overseas (US, Canada) it comes with an error message that this card can’t be use for this transaction. Thus happened with multiple customers. My customers have spoken to their bank also and they were informed that it’s a problem at receiver’s end. When I called PayPal customer support they were of no help. They said it is an issue at the customer end. What to do? Please help as all my transaction not getting processed and have error message as mentioned above. Well, I am not sure why you’re getting the said message. PayPal customer support is usually less than helpful. I can only suggest that you talk to you bank which has issued you the card in question. Tell you bank the problem you’re facing. Probably the card itself is not valid for certain transactions. Sir how can i change the pricing module of PayPal from USD to INR if it is not possible can you suggest me some other payment gateway.my website is in sharetribe platform i want to use the payment gateway as a third party and problem is sharetribe gives me one coding box where i can put my code..so can i use any third party payment gateway. and one more thing sir our site is like amazon where so many products is there so for applying payment gateway do i need to upload all products details like price product code etc etc on the payment gateway. May be PayPal customer support can help. Did you speak with them? I have a question related to SBI and Paypal. I am having a saving account as well as current account with SBI. I want to buy a course on UDEMY. But it only supports payment with paypal account or credit card. So please guide me how do I pay them. Hi Bro, is creating a PayPal account free? Do they charge any monthly or annual fee for having account? I have zero balance bank account and I have started to earn through online job portals. PayPal account can be opened for free. They do not charge any monthly or annual fee. PayPal only takes commission when you send or receive money through your PayPal account. Hi I intend to offer online service to clients in USA and other parts of the world. Can I receive a lump sum amount of $2000 through PayPal? Yes, you can receive upto $10,000 per transaction through PayPal. Hi Amy, I am sorry but I could not get your question clearly. However, I guess what you are asking about is integration of a payment facility in your website. For this you would need a Payment Gateway that operates in your country. As for YouTube, Google transfers your earnings right into your bank account. I am starting a mobile application to cater to small automobile service providers. As most of these persons do not have a bank account, please advice how can they be integrated with the payment gateway and how online payments can be given to them. Hi Rajan, I think in such cases you should explore the possibility of using online wallet services like Paytm. Can we transfer money from PayPal to Payza account? There is no direct way to transfer money from PayPal to Payza or PayPal to Paytm. However there are exchangers services available which you may use to make such transfers. You will have to transfer money from your PayPal account to the exchanger’s PayPal account and then they will send you money from their Payza account to your Payza account. For this service, exchangers charge a fee. Also be careful in selecting a good exchanger. I would like to create a new website for my personal. And i like to give the website design work to Brazilian. Is this possible to send the money from my paypal account (debit card/bank account) to Brazilian paypal account? If so, what is the charge for transaction ? If not, what is the best way to pay him (Cheap & best)? Hi Ahmed, you can send money to the Brazilian developer through PayPal. As for charges, I would suggest that you speak with the PayPal Customer Care for this. Thanks for the information about PayPal its really very useful for beginners. But I have one more question in mind. How much money transaction is approved in PayPal? Can we send or receive large amounts of money through PayPal for business or personal purpose. Hello Payel, For export related transactions, you can receive only upto US $10,000 in one transaction through PayPal. As for sending money through PayPal, you will have to upload money from your bank account into your PayPal account and then give it immediately to the receiver. You can not keep money in your PayPal account for long. RBI does not allow this. Hi Marion, it should be possible. But you would need to speak with PayPal customer support. Probably, website will not allow you to change a PayPal Business Account into a personal one. I have created a paypal account but did not verify via debit card or bank account. Meanwhile my client sent money to my account but i couldnt receive it. Then i verified my account with debit card and even then my balance shows zero. How can i confirm if my client really sent money ? In such a case, you should immediately call PayPal customer support. No, once you have sent the payment, you can not call it back. You will have to speak with the receiver and ask for a refund. Can I send money from my Indian account to an overseas account to a country like Australia using PayPal? Sanjay, you can send money from one PayPal account to another. The receiving and sending parties may have those PayPal accounts connected to any bank account anywhere in the world. Hi I am based in Dubai . as my supplier is based in AMERICA. i am sending money first time by pay pal to the supplier becos even supplier is having pay pal account. but i need to pay in advance once thru pay pal once i receive the proforma invoice. so is it safe to pay thru pay pal in advance what if the supplier does not send the goods by air. 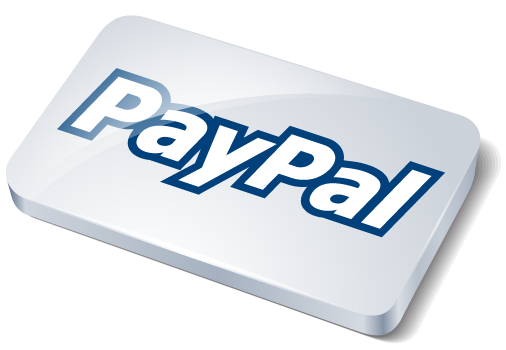 If your supplier is a well established business, then you can trust the transaction via PayPal. Every PayPal account is connected with a real bank or credit card account. PayPal keeps the record of transferred money which will show that you transferred the money to PayPal and from there it went into a particular bank/credit card account. Therefore, there will be a trail which can help you in the event of taking the case to the courts. I created my paypal account and bank verification is also completed then where I have to enter a small ammounts? Hi Praveena, when you’ve received the small amount from PayPal in your bank account, go and log into your PayPal account and there you’ll be asked to enter the exact amount received. This will verify your bank account with PayPal. Hi Prashanth, PayPal will have no problem in your receiving money. Technically the money will belong to your brother. And it will be added to his income for tax purpose. That’s it. Thanks for giving such important information. I live in Delhi and want to start a my travel consultancy website . Can i get payment from my Indian customer using Paypal. Hi Dipanshu, yes! you can use PayPal to send and receive payment to / from your Indian customers.